Hermann Neuhoff was born on 11 April 1918 at Duisburg-Rheinhausen in Rheinland. He joined the Luftwaffe prior to World War 2 and trained as a fighter pilot. At the outbreak of World War 2, Neuhoff was serving with 3./JG 53.  On 3 October 1939, Unteroffizier Neuhoff was transferred to newly formed III./JG 53 based at Wiesbaden-Erbenheim. He assigned to 7./JG 53 under the command of Oberleutnant Wolf-Dietrich Wilcke (162 victories, RK-S, killed in action 23 March 1944). He recorded his first victory on 2 March 1940 when he shot down a RAF Hurricane fighter southwest of Diedenhofen. He added a further four victories during the French campaign. He participated in the Battle of Britain gaining a further four victories. Operating over the Eastern front, Neuhoff gained considerable success. He recorded his 20th victory, a Russian DB-3 twin-engined bomber shot down on 4 August 1941 and his 30th, a Russian I-18 fighter shot down on 19 September. Neuhoff accompanied III./JG 53 when it was relocated to the Mediterranean theatre in November 1941. Between 11 and 14 December, he claimed five RAF aircraft shot down in North Africa. Neuhoff then undertook a lengthy spell of instructing and attended an officer training course. In March 1942, Neuhoff returned to combat duty. III./JG 53 was now based in Sicily operating over Malta. Leutnant Neuhoff claimed four RAF fighters shot down over and around the island operating with 7./JG 53. On 9 April, Neuhoff was appointed acting Staffelkapitän of 6./JG 53, replacing Oberleutnant Helmut Belser (36 victories, RK, killed in a flying accident 19 June 1942) who had been transferred as Staffelkapitän of 8./JG 53. On 10 April 1942, Neuhoff led his new Staffel over Malta in Bf 109 F-4 (W.Nr. 7375) “Yellow 1”. He led an attack on three RAF Spitfire fighters. During the subsequent combat Neuhoff was shot down. He baled out to become a prisoner of war. It is thought that Neuhoff had become the victim of Canadian ace Sgt Garth Horricks (8 destroyed, 0.333 probable and 6 damaged victories) of 185 Sqn, RAF. However, returning pilots of JG 53 reported that Neuhoff had been shot down by one of their own, Leutnant Werner Schöw (15 victories, killed in action 11 August 1942) of 1./JG 53. Leutnant Neuhoff was awarded the Ritterkreuz on 19 June. Hermann Neuhoff died on 17 January 2006 at Duisburg-Rheinhausen where he was born. 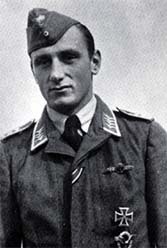 Hermann Neuhoff was credited with 40 victories in 452 missions. He recorded 23 victories over the Eastern front.